How can we prevent the extinction of whitebait? A recent NZ Geographic article has stirred up an already vigorous debate (see the full article here goo.gl/TcWWU8). “What we call ‘whitebait’ are the juveniles of five fish species: giant kōkopu, banded kōkopu, shortjaw kōkopu, īnanga and kōaro. The first is predicted to go extinct by 2020, the second by 2023, and the rest by 2034”. The key point here is extinction. It refers to the death of the last individual. If the above predictions were correct this would occur in 3, 6 and 17 years for these species. Are whitebait really going extinct? This is a very good question and some important clues relate to what we know about historical trends. Bear in mind that the actual numbers of fish, eggs, etc are very difficult to detect. Our current understanding is based on 'snapshots' of the whitebait lifecycle at different places and times. Some interesting aspects that are important to the bigger picture are discussed below. The whitebait harvest reduces numbers but could it cause #3? The answer is probably not since whitebait migrate throughout the year, and some escape capture during the whitebaiting season. However if the whitebait run became very small then whitebait fishing could have a relatively large effect. Aside from reducing the number of juveniles through whitebaiting, the link between #3 and #1 largely comes down to habitat. If our rivers offer good habitat then more fish will make it to adulthood and extinction does not occur. Key aspects include adequate food, low pollution and protection from predators. The spawning habitat is also critical. Eggs are the start of the next generation, but this is a particularly vulnerable life stage. Ensuring the eggs don’t die before hatching will prevent #2 and will increase the stock of larvae that mature into whitebait. Obvious this assists with preventing #3 and therefore also #1. The key activity we can control here is the protection of the spawning sites. Therefore, as well as ensuring good habitat for adult fish we need to be particularly mindful of the 'critical habitat' that is need for successful spawning. Often the locations involved are very specific and occupy relatively small areas. This can make them vulnerable and we need to know where they are. In summary - extinction should not be seen as a foregone conclusion. Through attention to the theoretical 'extinction events' it can certainly be prevented. It mainly comes down to the motivation to do it, as well as ensuring that we are following a strategy that actually addresses the main risks. What does preventing extinction look like? Reducing the pressure on juvenile fish through a focus on whitebaiting is unfortunately not a panacea because other factors are major influences on the total number of breeders and their eggs. In fact, a preoccupation on controlling whitebaiting might increase extinction risk if it contributed to inaction on other aspects. Because the lifecycle is geared to produce lots of juvenile whitebait, it stands to reason that a sustainable harvest should be possible so long as there is an abundant fish population upstream of the 'back peg' and that these fish are healthy, grow to maturity, and successfully spawn. For these reasons it is imperative that we don’t spiral into a whitebait fishery debate without a holistic view of the other extinction risks. As with other protection methods, fishery-based strategies need to be monitored for effectiveness and this is no easy task. The most scientifically tractable strategies that involve limiting the fishery are those that can also generate information. This might be achieved by closing several rivers to fishing (to suit the different whitebait species) and monitoring the effects closely, or the use of temporary closures (such as 'no fishing days'). Such ‘rāhui’ might be eventually lifted or a rolling series applied, each river taking its turn. The results could also help judge the value of other fishery restriction proposals in terms of likely effects. Looking at these options, the first is likely the most agreeable to fisherman and therefore achievable, and the second is a similar strategy but harder to police. The third likely to be unpopular and very hard to police, and the fourth has no guarantee against a black market kickback reducing the desired outcome of de-incentivising fishing effort for profit. The last point is quite workable and is already used on the South Island's West Coast. Part of its reasoning is to give the less common whitebait species a better chance since they are thought to migrate a little later than the most abundant species (īnanga) that makes up the bulk of the whitebait catch (despite also being in decline). However, as with the river closure options above, these measures will need to be discussed with local communities and fisherman. In most cases, establishing their scientific basis will require more information. 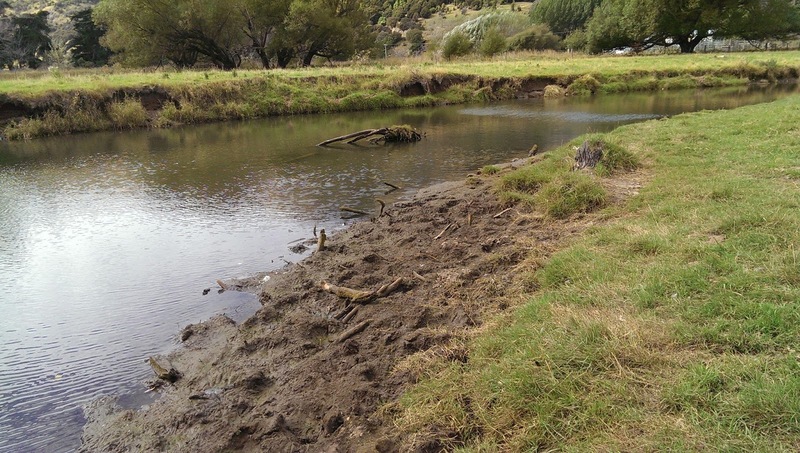 Arguably, the 'closed river' concepts provides the most straightforward situation for protecting whitebait from whitebaiters in a way that could be monitored to assess the actual effects. The other options for limiting the whitebaiting effort may have value but their effects are more difficult to monitor and this is important to work out their contribution to preventing whitebait decline (and extinction). The number of whitebait that escape the nets may ultimately remain a mystery. However we do know that attention to the condition of fish habitat will help us achieve conservation goals as well as a sustainable fishery. In particular, we need to protect the critical life stages to reverse the decline of whitebait species and guard against extinction. · Protecting and enhancing habitat for adult fish. This includes removing barriers to fish passage so the migrating juveniles can find the good habitat that exists. The measures of success include the number and condition of adult fish at breeding time. · Protecting and enhancing spawning habitat. No eggs = no whitebait! The spawning sites are often very specific places. Protecting these areas effectively will help ensure that each round of the life cycle will have the best possible start. The larvae that hatch from the eggs are the 'stock' that make it all happen and so this is a very practical focus for everyone interested in whitebait. The measures of success include a high number of eggs making it through to hatching, and the number of rivers in which this successfully occurs. The current evidence suggests that improving fish and spawning habitat is the surest way to prevent whitebait decline. Achieving this can prevent extinction and also increase the opportunities for a sustainable whitebait harvest over the longer term.